THE Devon Development Squad tour to South Africa comes of age when the travelling party touches down in Johannesburg on Thursday. Eighteen years ago this Spring the first, two-week long Devon Development Squad tour to South Africa took place for a party of 14 and 15-year-old cricketers. Alan Swift, for many years the manager of the Devon U15 side, was one of the driving forces who got the first tour to South Africa running in February 2002. The tour format has changed little since Swift’s first party landed in Cape Town, and neither have the benefits derived by the players. “We begin the tour with a week in Kruger playing against our old friends there before moving on to Cape Town,” said tour manager Mark Ansell, who has been on seven previous tours as a parent, administrator and manager. “The tour is very much the same as Alan devised all those years ago and has not been altered that much because it works well for us and the sides we play. “The tour is a fantastic opportunity for the players to test their skills in a tough environment, one most if not all of them have never played in before. “When you get off the plain the first things that hits you is the heat – it is in the 30s and really demanding to play in. “The players are tested in many ways. Can they deal with being away from home for so long? Can they perform in conditions that are difficult and different to what they are used to? And they will experience two-day cricket for the first time. Successive tour parties have played one-day games, two-day games and day-night games all over South Africa, but they have never played a Twenty20 match. Ansell, the tour manager, said within hours of landing in Cape Town at the start of week two the tourists hope to be on the field at the South African College High School playing a T20 match. “Feedback from previous tours is a T20 match is something the boys want to play and we are trying to squeeze one in,” said Ansell. “We were hoping to play a day-night T20 game, but the college have told us we can’t do that and have to start at four o’clock. “Our plane does not arrive until two in the afternoon, so it is going to be a bit tight. 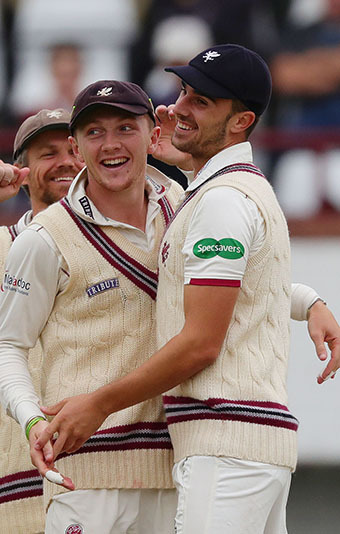 South African tourists who have gone on to professional careers include Dom Bess, Ollie Dawe and Ben Green (Somerset), Ryan Stevenson (Hampshire), the Overton twins (Somerset) and Somerset’s one-day captain Lewis Gregory, who went twice. A handful – Billy Searle and the Maunder brothers – have gone on to sign for Premiership rugby teams. And Devon cricket at all levels is sprinkled with good club cricketers, such as Joel Seward (Seaton), Gill Crouch (Thorverton), Jack Cherrington (Hatherleigh) and Paul Heard (Bideford) who will never forget their South African experience. Heard, who was a 2010 tourists, is returning this year as one of the coaches. The full coaching panel comprises Heard, Barton’s Jim Parker and Sandford stalwart Nigel Ashplant. Ansell said friendly rivalries between Devon and their hosts have become embedded over the years with trophies up for grabs in some games. 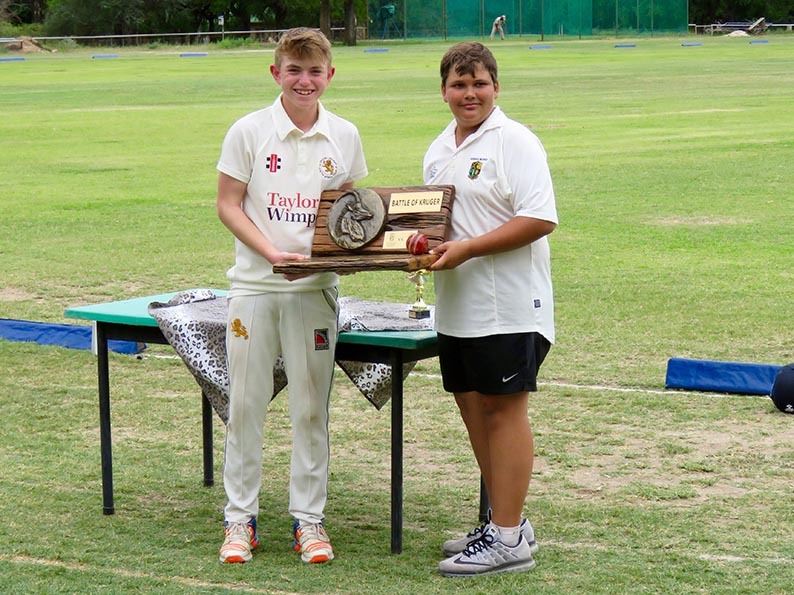 “When we play Nelspruit High School in Kruger we compete for the Battle of the Kruger trophy, which they put up for the match a few years ago,” said Ansell. Players have to raise nearly £3,000 to become a tourist, which involves numerous fund-raising activities, including the production of a tour brochure, which is packed with valuable advertising. The David Shepherd Cricket Trust also chips in with a sizeable donation toward the tour costs. This year the cricket charity has donated £3,000 towards expenses. The tour party squad comprises: Sammy Broomhead (Sampford Peverell & Tiverton), Ethan Carlisle (Plymouth), Josh Couch (Shaldon Optimists), Archie Farkins, Joe Farmer (both Paignton), Ciaran Gray (Cornwood), Tom Hatton (Sampford Peverell & Tiverton), James Hayter (Bideford), Rory Medlock (Paignton), Charlie Presswell and the captain Jasper Preswell (both Hatherleigh), James Rowe (Torquay), Sam Russell (Bovey Tracey), Reuben Windley (North Devon). For the record the first touring party comprised: Ben Ayres (Bovey Tracey), Marc Bettis (Barton), Tom Bowring (Sidmouth), Kris Davis (Torquay), Adam and Will Gingell (both Culmstock), Chris Jenn (Bideford), Leon Loveridge (Bideford), Craig Miles (Plympton), Richard Milton (Barton), George Northcott (Brixham), Adam Parker (Barton), Hayden Rollason (Sidmouth), Nick Watkin (Barton) and Mike Wigley (Bideford).